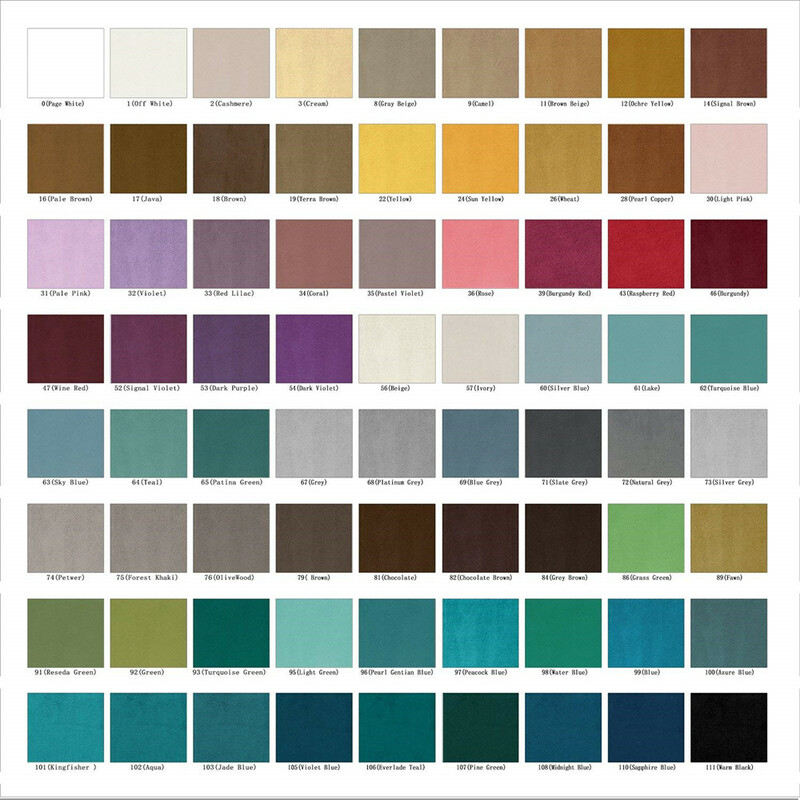 300 gsm soft luxury premium rich color velvet in matt finish. 140 gsm white blackout lined lined. Fit for living room, bed room, office, studio, playroom, Attic, study room, media room, hall etc. Side hem 1 inch, bottom hem 4 inches. For grommet, the inside diameter of grommet is 1.6 inches, outside 2.7 inches. For example, if you want a full look and your window is 64" wide, add 16" for pole or track installed. This allow the end panels to extend 8" beyond each side of window frame, reducing light gaps and maximizing privacy. If you want back tab/rod pocket heading in 2X fullness,then single curtain width size should be 80" ((64+16)*2/2). You decide the fullness to create folds according to the different heading type you want. 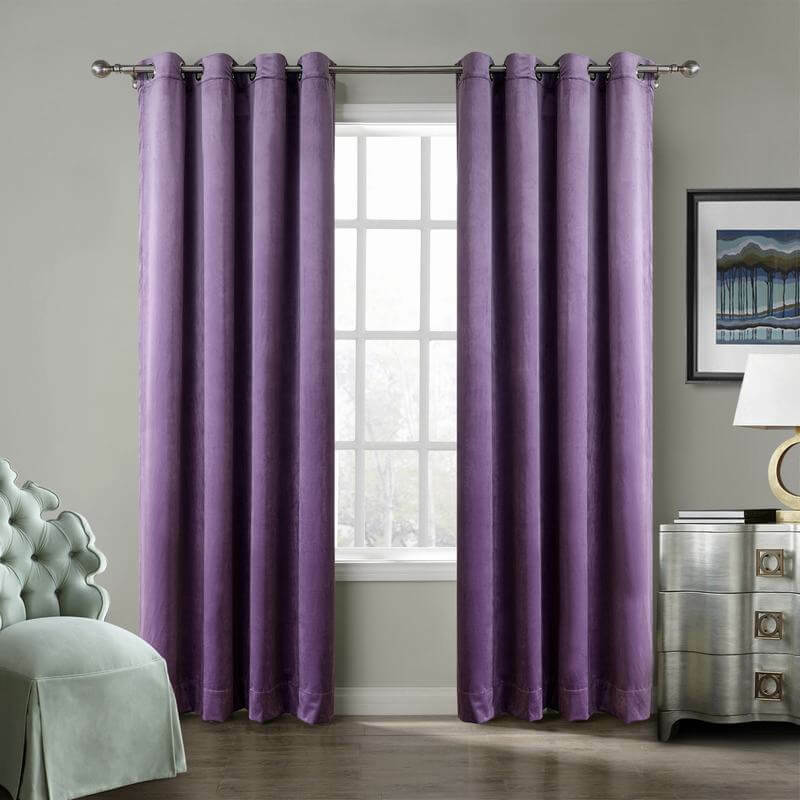 These curtains are TRULY beautiful, on the heavier side (which I find show quality), room darkening to the maximum. Definitely perfect in my book and I take product reviews seriously. 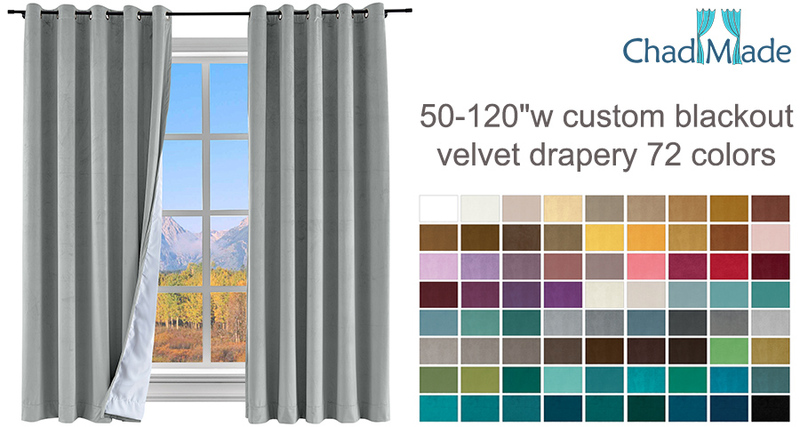 I am very happy with this velvet curtain order! It fits my bedroom perfectly! The grey color looks nice! The material is really well made! I like it! 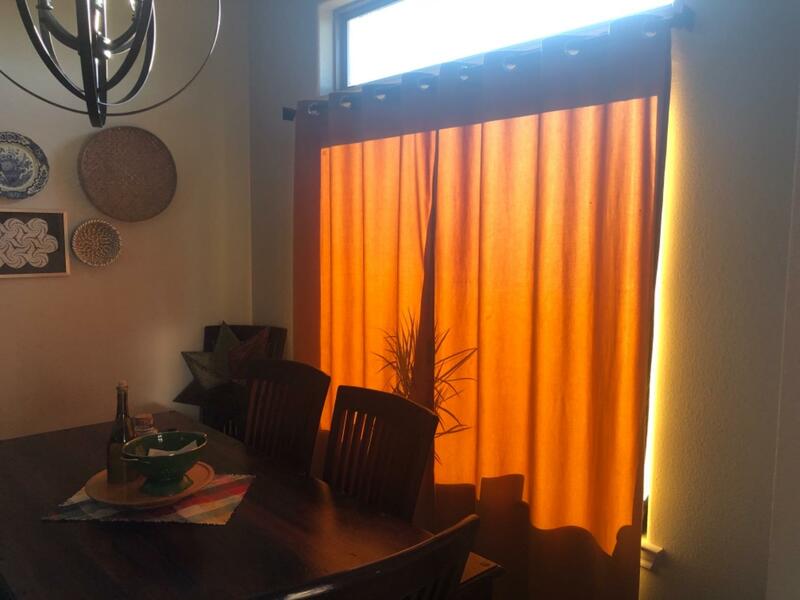 I love these curtains and truly beautiful color. I bought them for my bedroom. It is good quality and better than I expected. They are tasteful and classy but black out sunlight so well. I am so excited to have it for my new home. Since summer is coming, the sunlight in California is pretty strong, my family definitely need it to block the sunlight. The quality is beyond expectation. I will consider buying another colors. 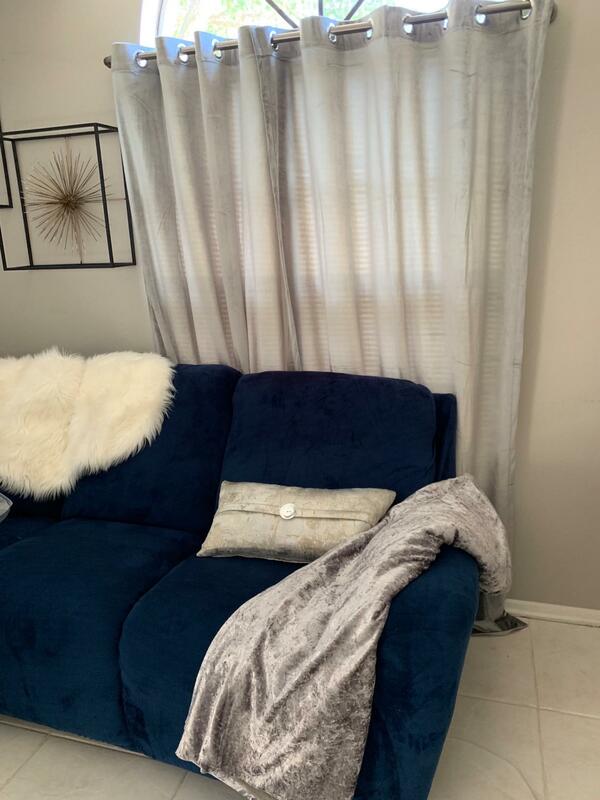 This curtain has pretty good quality, material is soft and no strange smells. 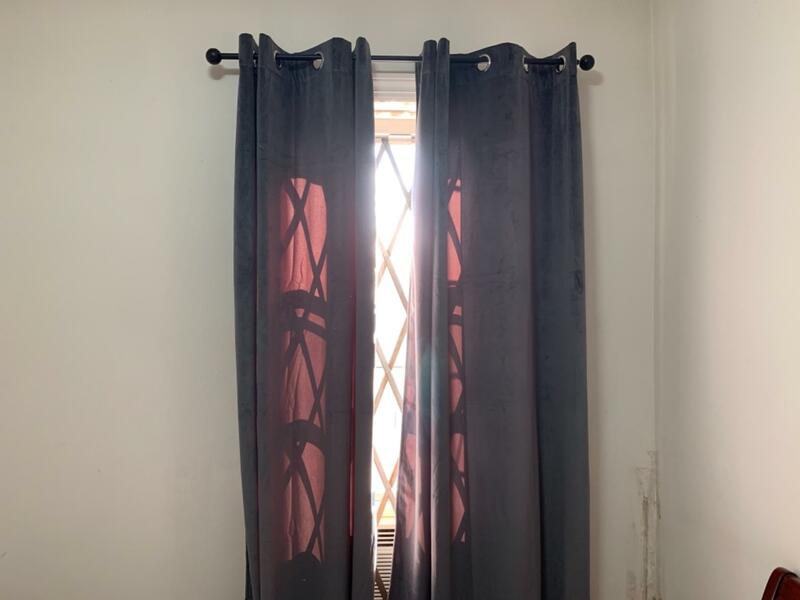 I bought them for our bedroom window, for when we watch movies we like to have the room completely dark. This curtain works good on blacking out the light. 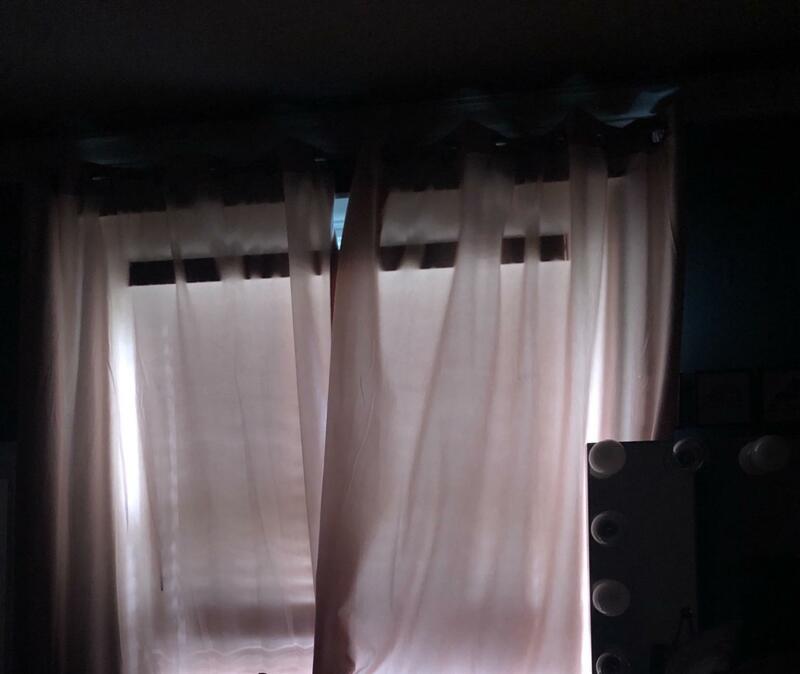 I have purchased (and had to return) several black out curtains from the stores, but they were not total black outs. This one works for us. Good quality, although not completely blackout. The curtains look really good to match my room. The material is really soft and easy to wash in the wash machine. There are two feature which I love the most. One is blackout the light and another one is reduce the car noise because my house is next to the street. It has a lot of traffic since 5 am in the morning. Really like this product. love them love the color. The quality of this product is very good, the blue cloth color I choose is very beautiful, shading performance is good, the price is cheap, we strongly recommend you to buy! Beautiful curtains but in no way room darkening. 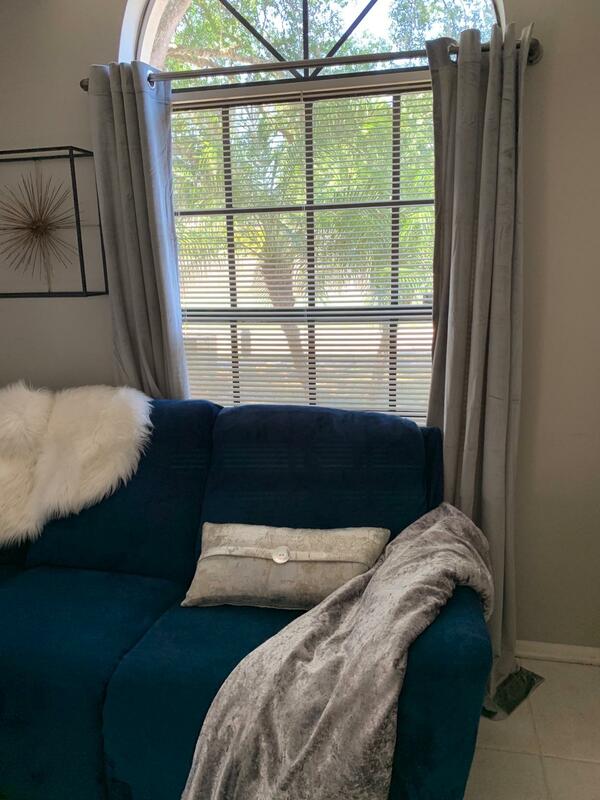 Great quality.i bought these for my living room.they are super soft and not heavy weight but keep the light out well when close . Love these drapes! Not room darkening but good enough!